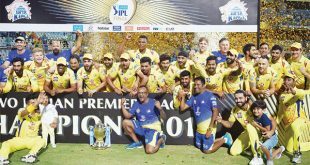 New Delhi, India, April 12, 2018 (AFP) -Protest-hit Chennai Super Kings were Thursday ordered to play all their remaining Indian Premier League (IPL) home games 1,200 kilometres away in Pune after players had shoes thrown at them and were threatened with snakes being unleashed into their stadium. 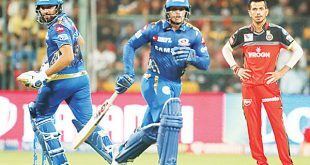 Demonstrations marred Chennai’s winning return to the IPL after a two-year ban for corruption on Tuesday night, against Kolkata Knight Riders, and when a threat to unleash snakes followed it prompted the officials to act. Chennai is the capital of Tamil Nadu state, which has seen volatile protests over the handling of a water-shortage crisis with the authorities saying they could not guarantee security at Super Kings’ matches. 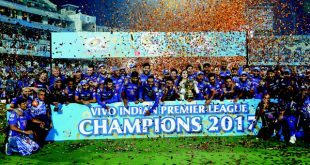 “The IPL governing council assessed the current situation in Chennai and a decision was taken to shift the matches from the MA Chidambaram Stadium to Pune,” a league statement said on Thursday. That means all of Chennai’s six remaining home games in the cash-rich tournament will be on the other side of India 1,200 kilometres (750 miles) away. Super Kings all-rounder Shane Watson was among the first to comment. “Very sad for our team @ChennaiIPL and the fans here in Chennai that we won’t be playing anymore games here this season. The atmosphere last game was incredible. 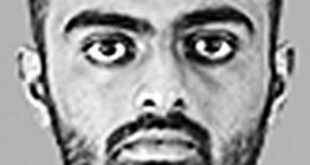 Let’s hope this situation in Tamil Nadu is sorted out asap,” the veteran Australian said on Twitter. “I trust a ‘peaceful’ resolution is found soon for the problems at hand. Thanks to everyone for making the team so welcome,” said coach Stephen Fleming, the former New Zealand captain. Senior batsman Suresh Raina also took to Twitter to say he would miss “our home ground” and the fans. “You are always in our hearts,” he added in the message. Tuesday’s victory over Kolkata was a triumphant return to their home ground after a two-year ban for illegal gambling, but it was soured by angry protests outside the stadium. Protesters — trying to raise awareness about a long-running water dispute with neighbouring Karnataka state — burned debris and jostled with police. Shoes were hurled at Chennai players on the boundary ropes during the match. 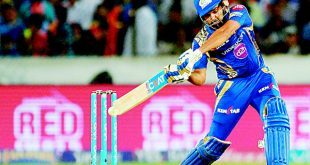 A Tamil group on Wednesday threatened to release snakes during the Super Kings’ next match on April 20 against Rajasthan Royals. “We had decided that we will host all matches in Chennai after we are promised foolproof security there. 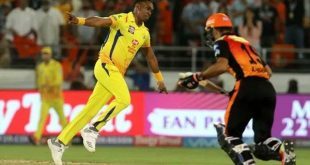 But today they (local authorities) informed CSK that they will not be able to handle security,” IPL chairman Rajeev Shukla told reporters on Wednesday. Drought-prone Tamil Nadu has witnessed increasing protests in recent weeks over a disputed accord with Karnataka on how to share water from the key Cauvery river. In 2014, Chennai had to host four home games in Ranchi following a dispute between the Tamil Nadu Cricket Association and the local authorities.